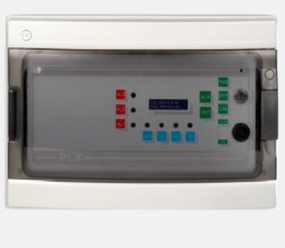 In Technology product line there is a special environmental analyzer for flammable gases. They are studied to control the presence of flammable gases (%LEL) in atmosphere. It is used a catalytic sensor to make the check avoiding false alarms. The system is composed by a central station that manage till 4 sniffers (as optional they could be upgrade to 8). The central is inserted in an ABS IP65 case. LED display to read information, setting values and alarm sta-tus. The local acoustic alarm is made by a buzzer, but it could be remote. The installation of this analyzer increases immediately the safety of the working areas, avoiding risks of gas leakage.